Since iOS6, Apples mobile operating software allows the owner to lock their iPad screen to a single page, feature or app and disable other features such as links and in app purchases using the Guided Access feature with a passcode, password or Touch ID Sensor. 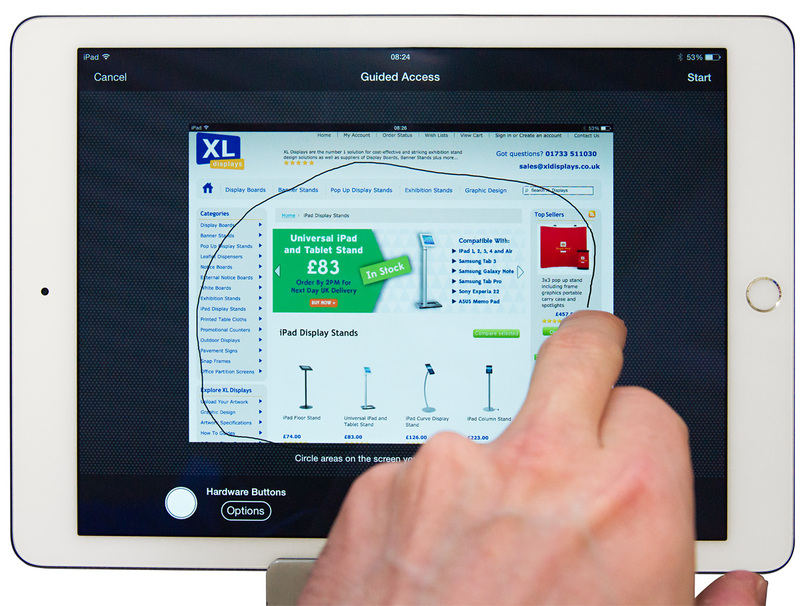 Another great use for locked and controlled access is if the iPad is used for business; either by employees or visitors. Our iPad floor stands have open Home button access, so guiding guests to only use the page / features you want has many benefits. After all, you don’t want guests to your exhibition stand to be viewing competitor's information. 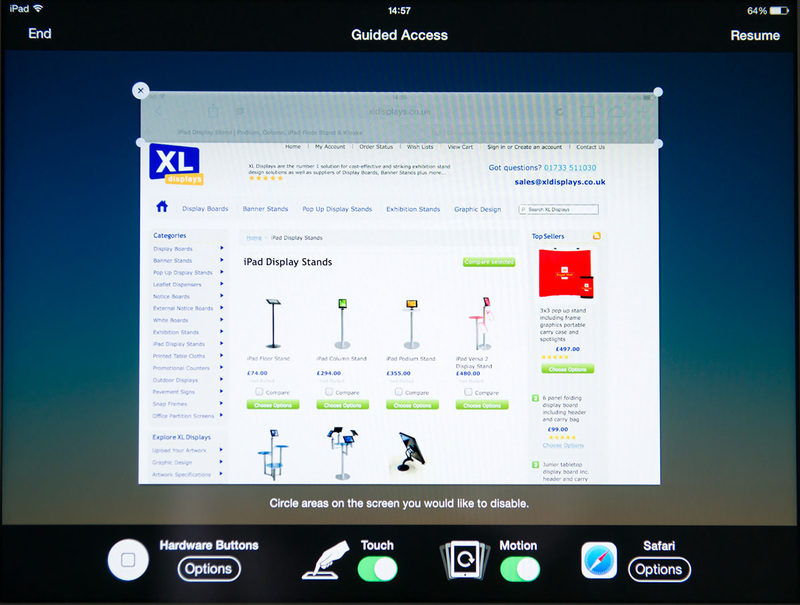 IOS 8 allows you to lock the iPad screen to a single app so guests or visitors to your exhibition stand cannot open other apps and even allows certain areas of the screen to be disabled. 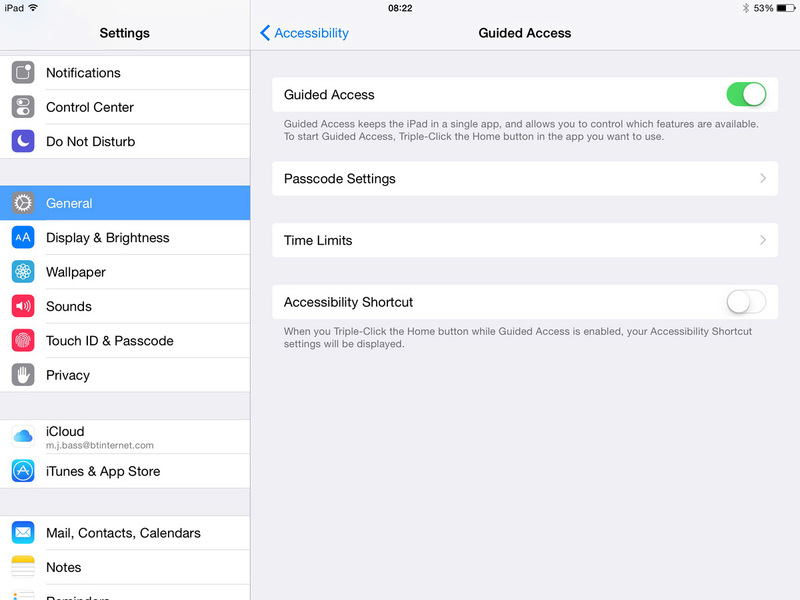 Guided Access mode in iOS 8 is simple to set up and works with any app or page. 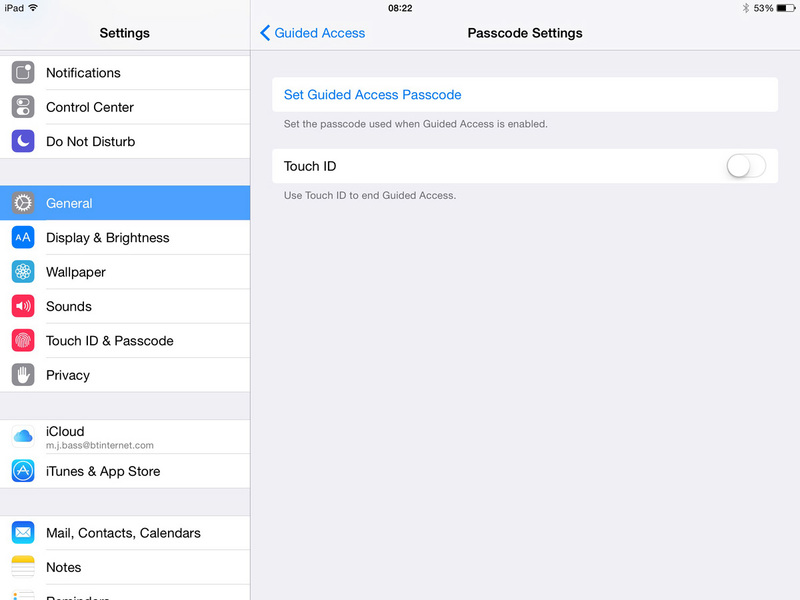 Select Passcode Settings from the Guided Access menu page and Tap Set Guided Access Passcode. New in iOS8 is the ability to limit the time the iPad is used – great to restrict children's usage and manage time wasters on your exhibition stand! Enter your chosen 4 digit passcode. Avoid easy ones like 1,2,3,4. 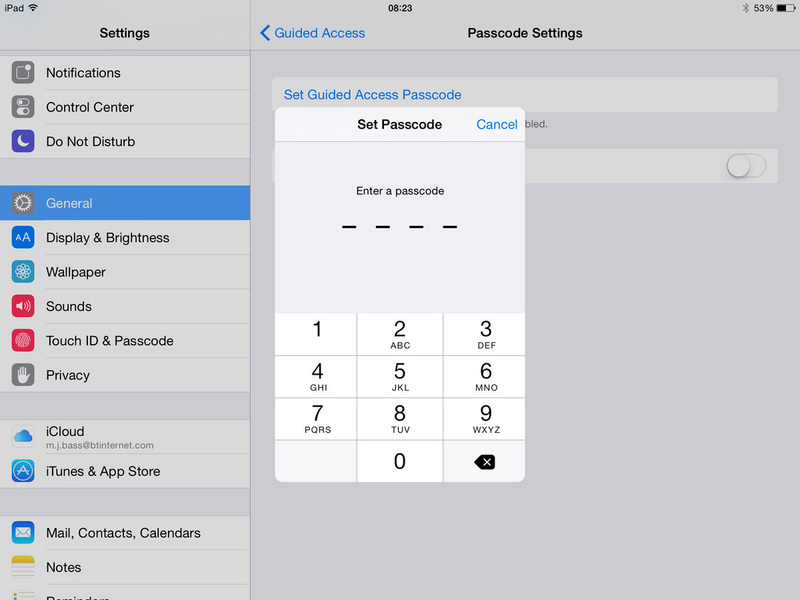 Record the Passcode – you will need it later. 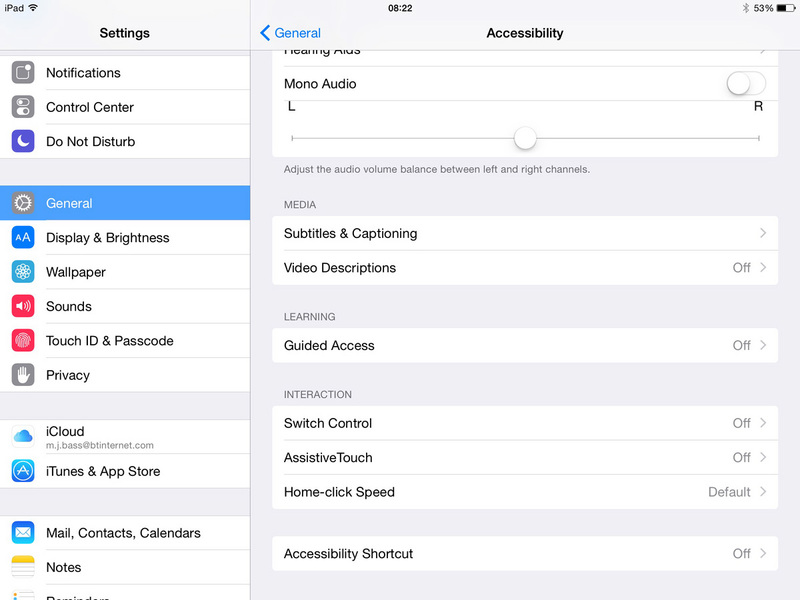 You can also use the Touch ID if your iPad has this function.